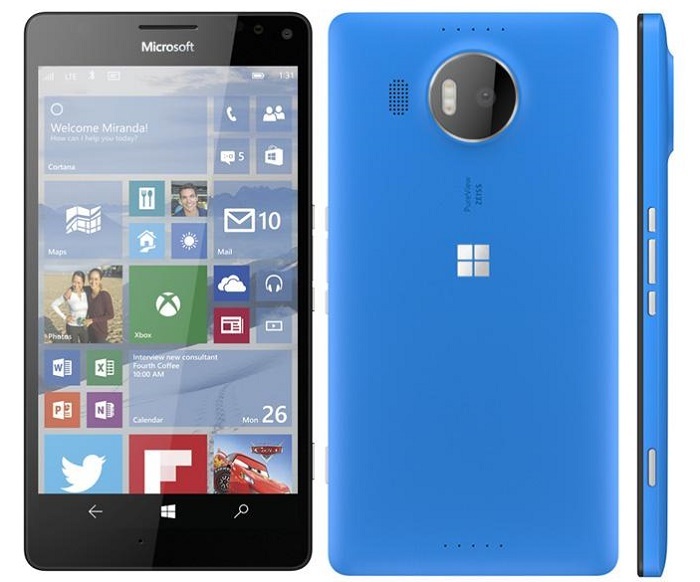 Renders of the Microsoft’s upcoming flagship smartphones have been leaked. Rumours and supposed specifications of the devices have been floating around for months, but this is the first time that anyone has seen what the final product will end up looking like. The two devices codenamed Cityman and Talkman, although rumours have them marked as the Lumia 940 and Lumia 950XL, still take cues from the Lumia aesthetic. Neither strays very far from the traditional designs, but it looks like the larger 5.7-inch Cityman will have rearranged the volume rocker and power button placement. Actual specifications of the devices is still unknown. A previous leak had hinted at a Snapdragon 808 processor paired with 3GB of RAM, 32GB of internal storage, a microSD card slot, and a 3,000mAh battery. A different leak also indicates that the devices will be using the new USB Type-C connector. It is likely that both Lumias will support the Qi wireless charging standard, which began from when they were still being made by Nokia. Microsoft has said that its IFA 2015 press conference in Berlin will not be announcing any new mobile devices, which means that these will likely be appearing at its October event instead. Although with the amount of leaks appearing about these two devices, there might not be much for Microsoft to say by then.